The Philly Grill is a Florida-based company that provides a delicious cuisine focused around traditional Philly Cheese Steaks. The Model is fun, convenient and focuses on high quality ingredients that are shipped directly from Philadelphia for the full authentic feel and taste! The concept fits the needs of all demographics which allows for a wide range of possible locations which would fit The Philly Grill business model. 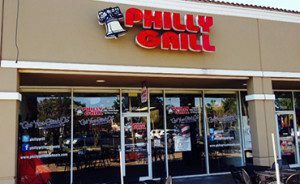 The first Philly Grill was created and opened for business in August 1994 at the Festival Flea Market Mall in Pompano Beach, FL. After a successful 11 years, we decided to relocate. We are now located in the county of Palm Beach, FL - one restaurant in Lake Worth (HQ) and 2 restaurants in Royal Palm Beach. We have created a high quality all American menu, specializing in original Philly Cheese steaks in a fast casual atmosphere.